Bus passengers across the north east of England will benefit from smart, multi-operator travel card called “SmartZone”. Bus operators Go North East, Arriva and Stagecoach North East have introduced the new multi-operator smart card which allows travel on buses operated by all three major bus companies in Sunderland, Newcastle and North Tyneside, providing unlimited travel from less than £2 per day. The launch follows a pledge made last year by the country’s major bus companies to deliver multi-­‐operator smart ticketing to millions of bus customers across England during 2015 as part of the government’s Smart Cities initiative. Regionally, this new initiative follows the launch of the South Tyneside SmartZone scheme last December. 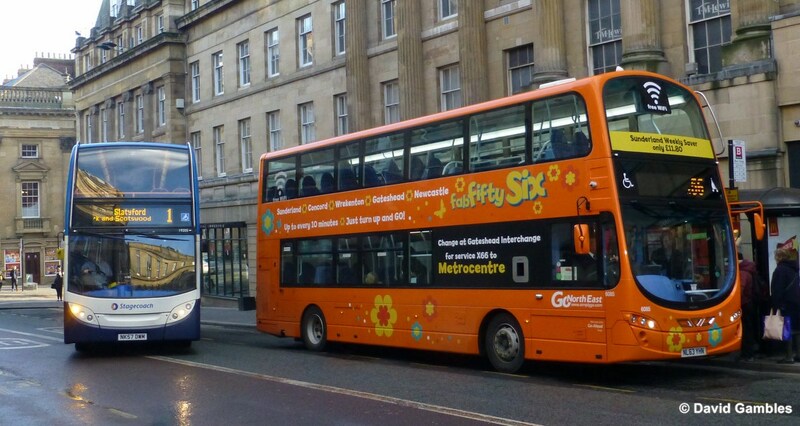 Since then bus companies have worked together across the country and made a multi million pound investment to deliver smarter ticketing for millions of bus passengers. 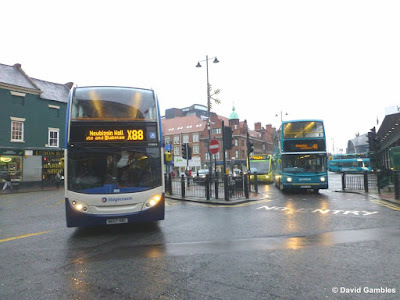 The new SmartZone products can be loaded onto either a StagecoachSmart Card, a Go North East Key Card and Arriva Connect Card and will be accepted on any Stagecoach, Go North East or Arriva services in Tyne and Wear, within the SmartZone boundaries*. Once purchased, customers can catch the first bus that comes along, making their journeys even easier and more convenient. Passengers simply hold their card over the ticket reader when boarding the bus to record their journey. The new tickets offer unlimited travel from as little as £13.50 a week or £52 for 4 weeks in Sunderland, £14.30 a week and £55 for 4 weeks in North Tyneside and £14.50 a week and £56 for 4 weeks in Newcastle.